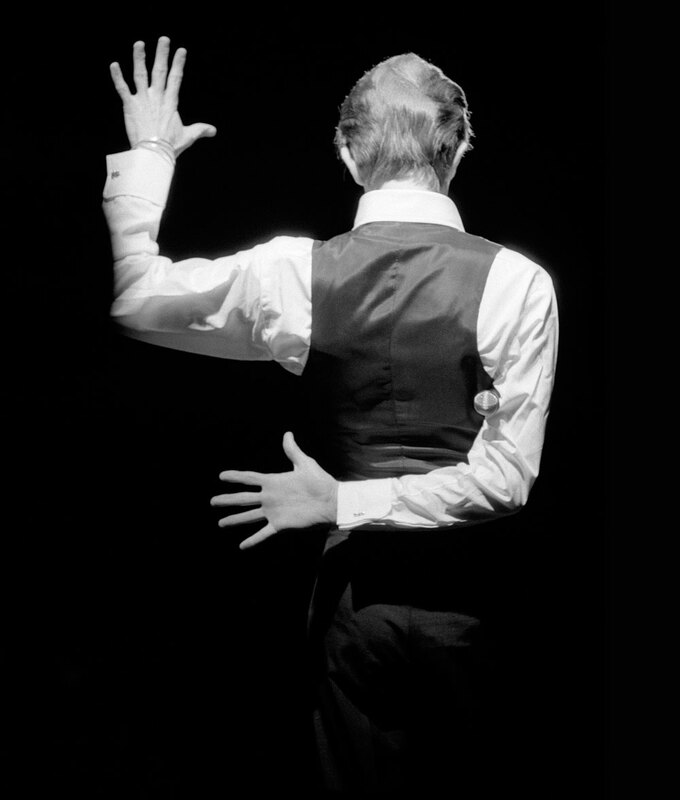 "David Bowie : Behind The Curtain" is a rare, exclusive, intimate, and very candid look at David Bowie during the rise of the Thin White Duke, his Station to Station tour, and numerous larger-than-life stories along the way. In 1975, rock 'n roll photographer Andrew Kent landed the gig of a lifetime. He had been entrusted by Bowie to document, with unfettered access, anything and everything Bowie and his entourage encountered for the next two years. Backstage, on stage, private parties, birthday parties, limos, quiet hotel moments, dressing rooms, Berlin, Paris, New York, London, Helsinki, Moscow. Also along during the Station to Station tour was an 18 year old Rolling Stone reporter researching a cover story on Bowie named Cameron Crowe. In 1976 Bowie took Iggy Pop, his manager Pat Gibbons, his personal secretary Coco, and Kent on an impromptu excursion by train to the Soviet Union. A mistake on the schedule at the train station caused the group to miss their return train to Helsinki leading the press to run frenzied headlines reading, "David Bowie Missing in Soviet Union!". With his unprecedented access, Kent created a one-of-a-kind travelogue, capturing the unique and spectacular life of one of the most iconic musicians in rock 'n roll history.